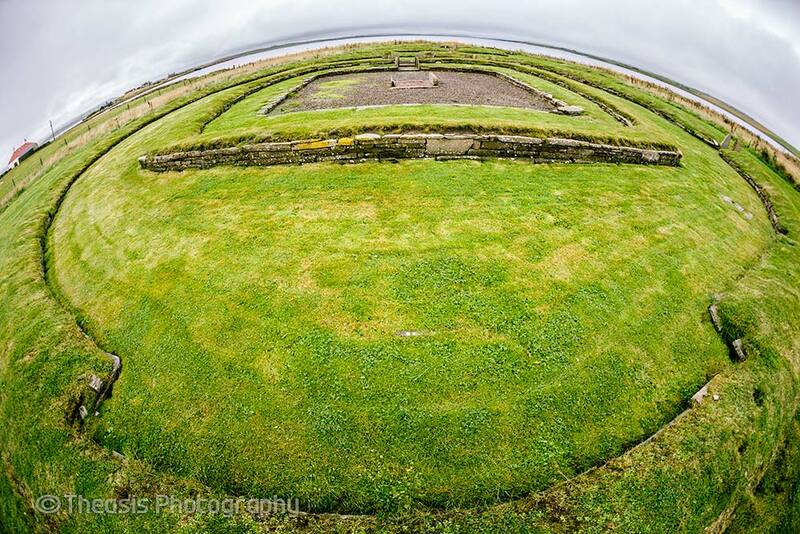 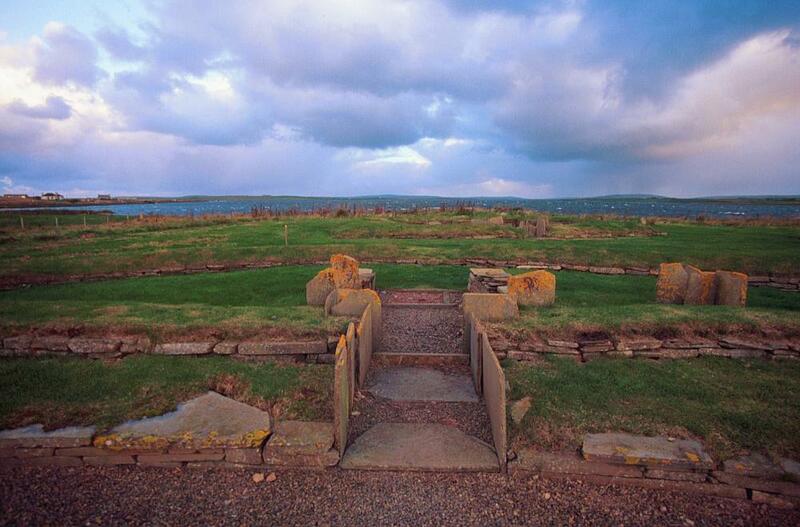 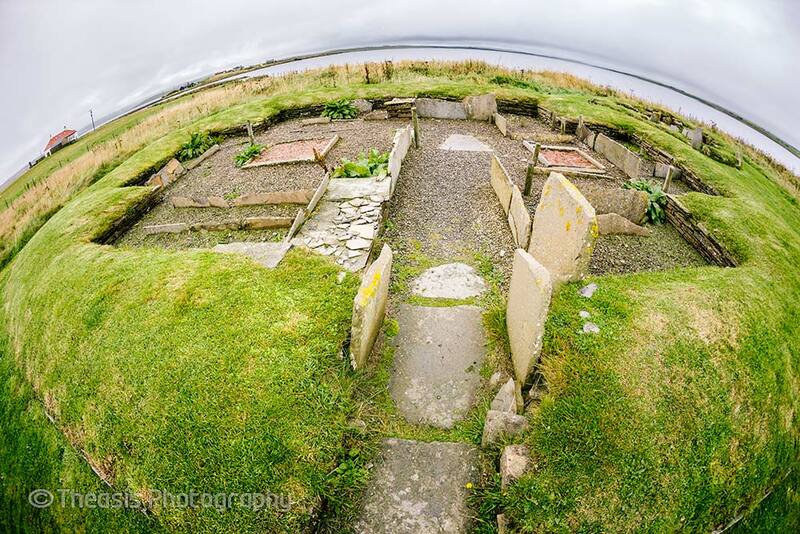 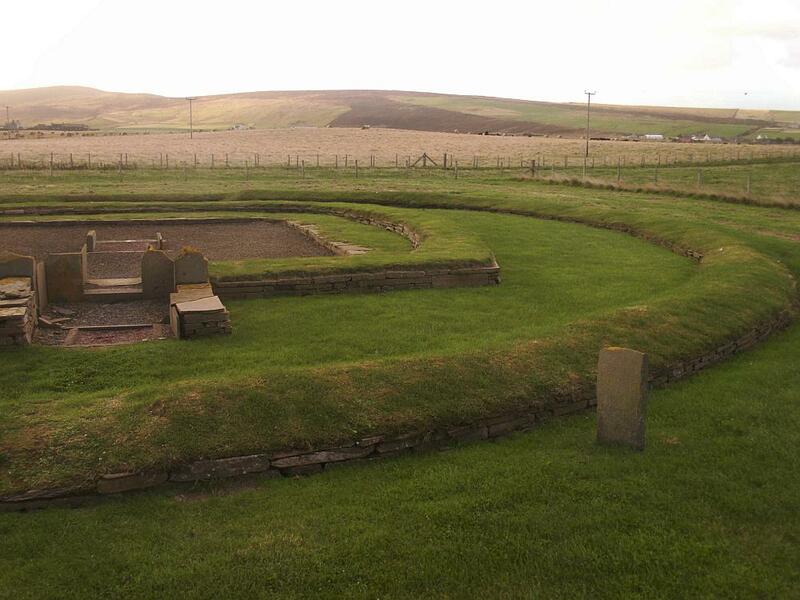 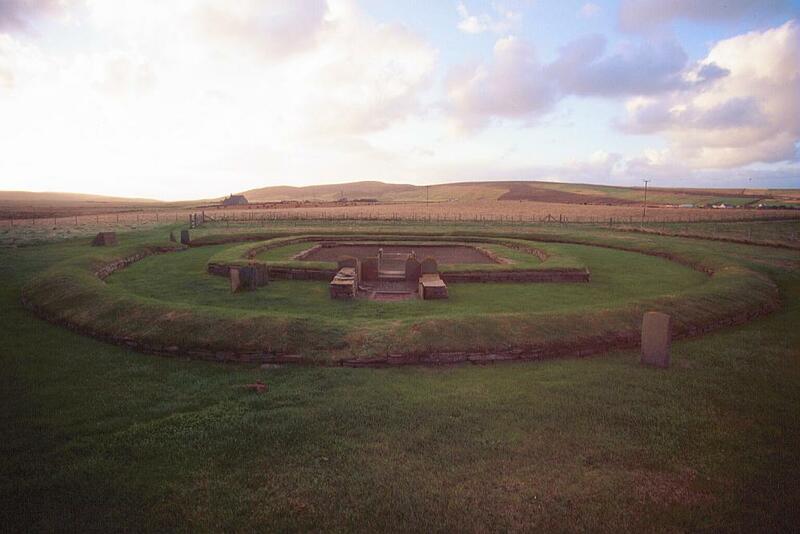 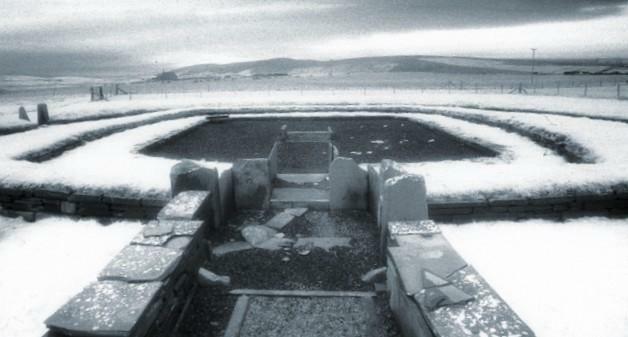 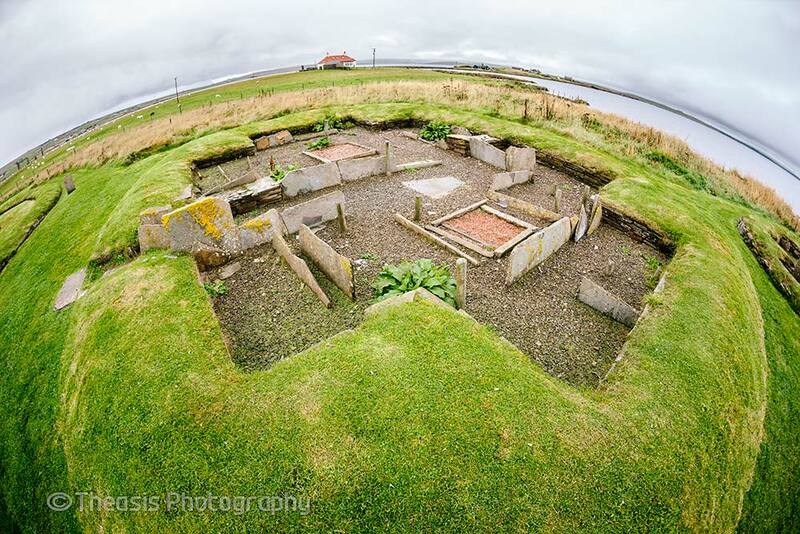 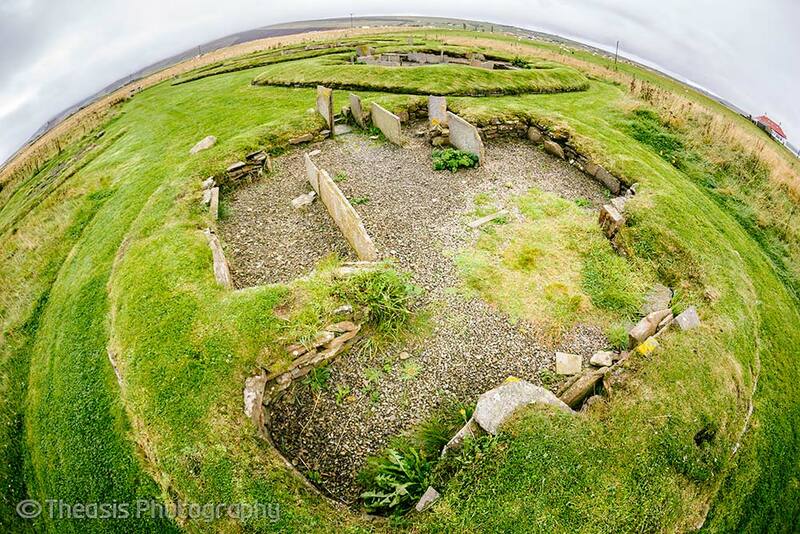 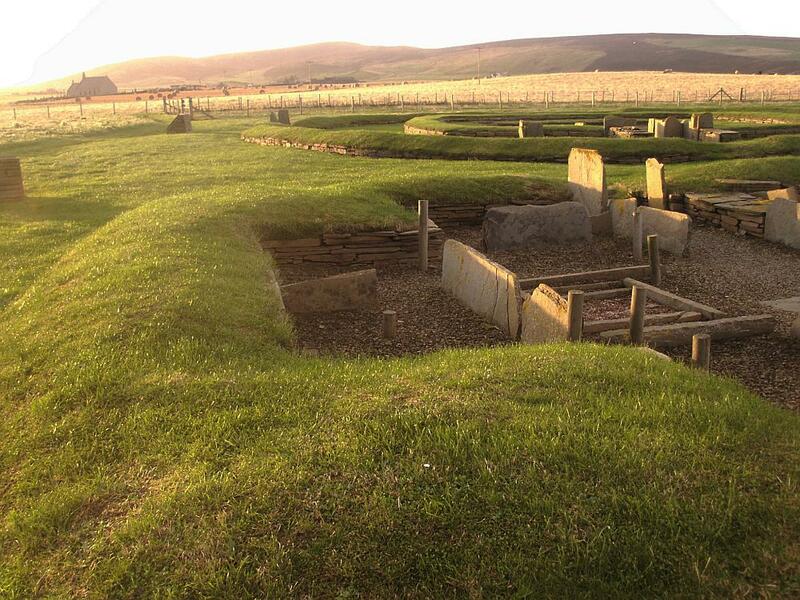 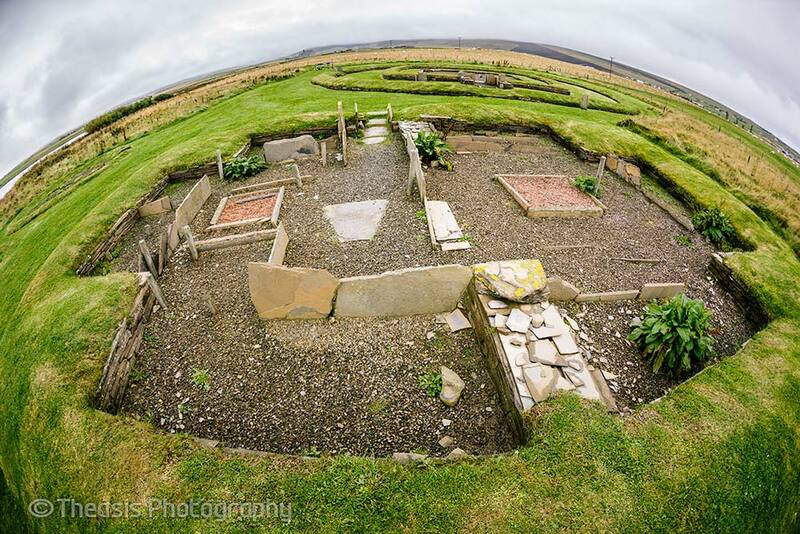 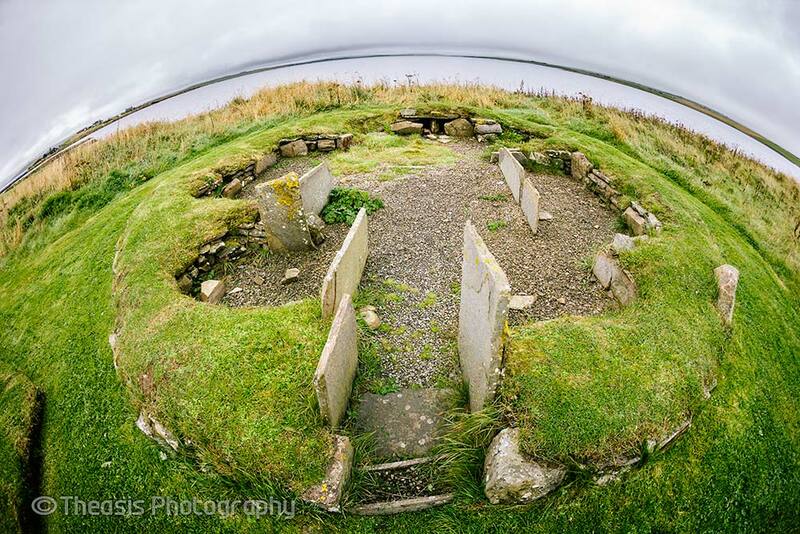 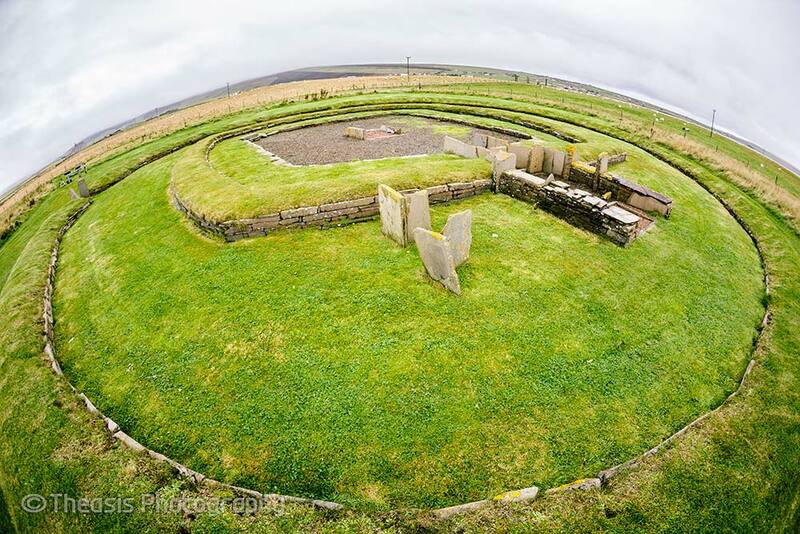 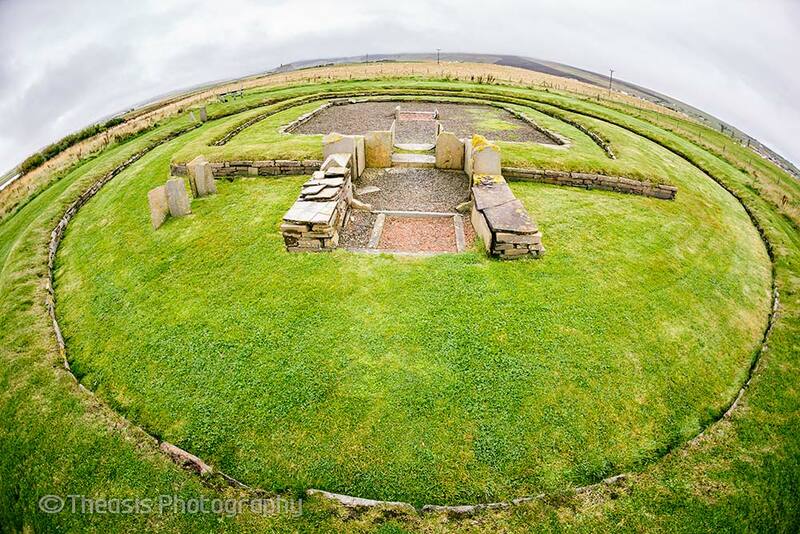 The settlement at Barnhouse is one of the more recently discovered ancient sites on Orkney. 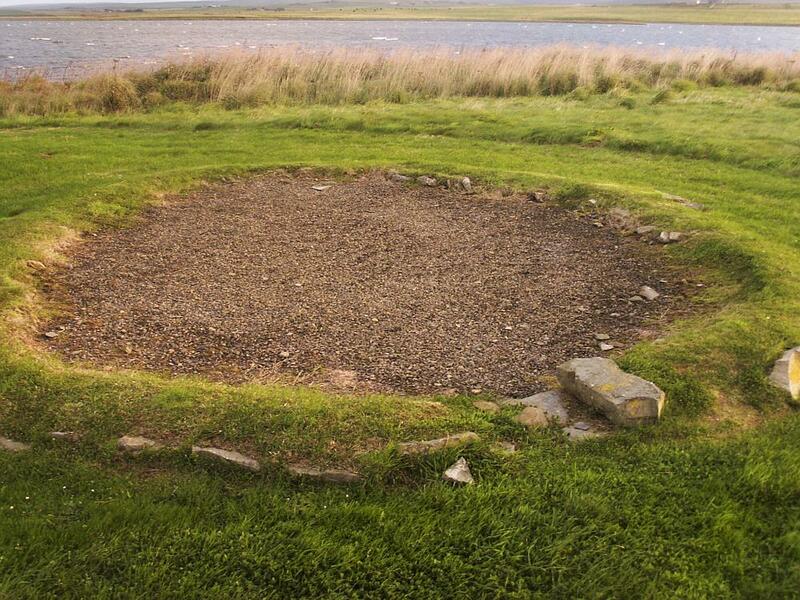 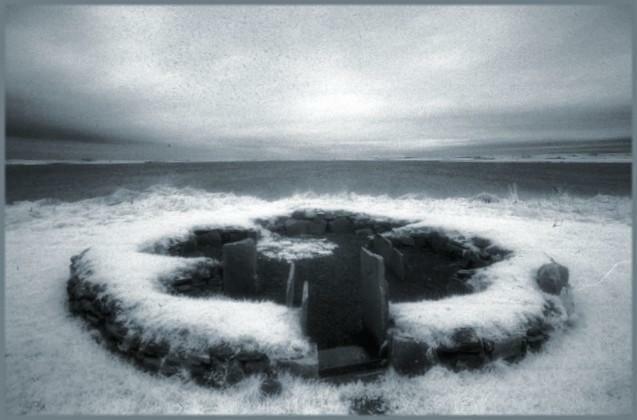 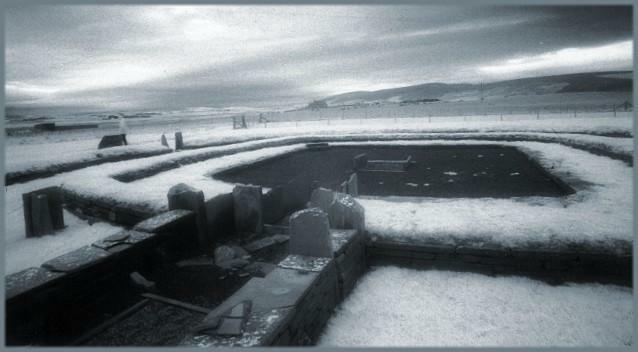 Fieldwalking during 1984 and 1985 found a significant concentration of stone tools and burnt bone on a promontary near the Stones of Stenness and in full view of the Stenness circle and the Maes Howe burial mound. 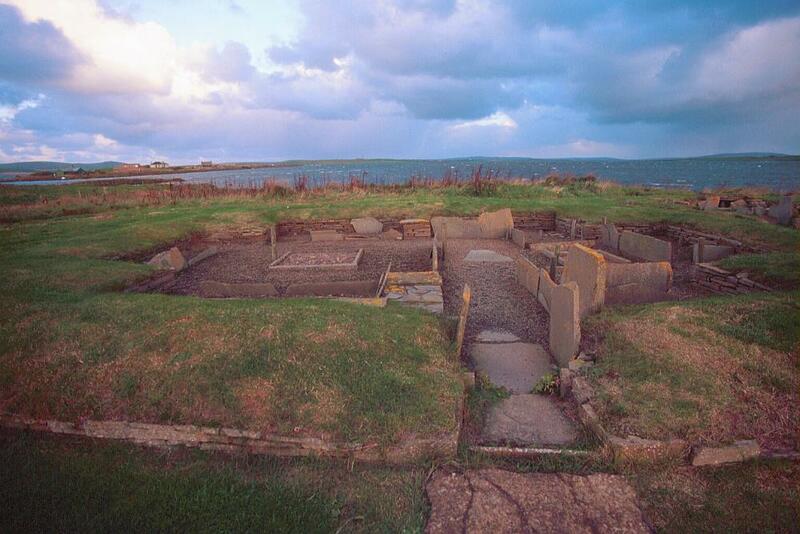 Excavation started in 1986 and revealed at least ten buildings in a site that was occupied over a long period. 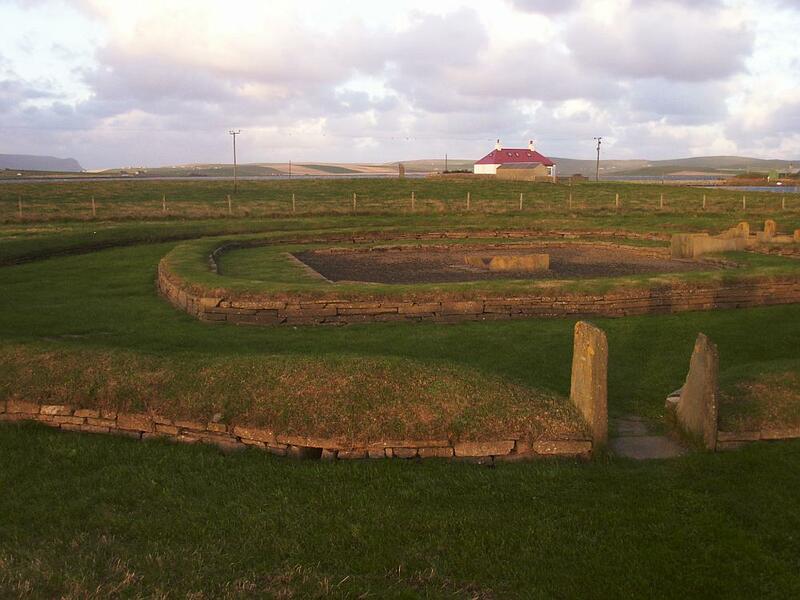 The early settlement consisted of at least six small houses similar in style to the early circular houses at Skara Brae. 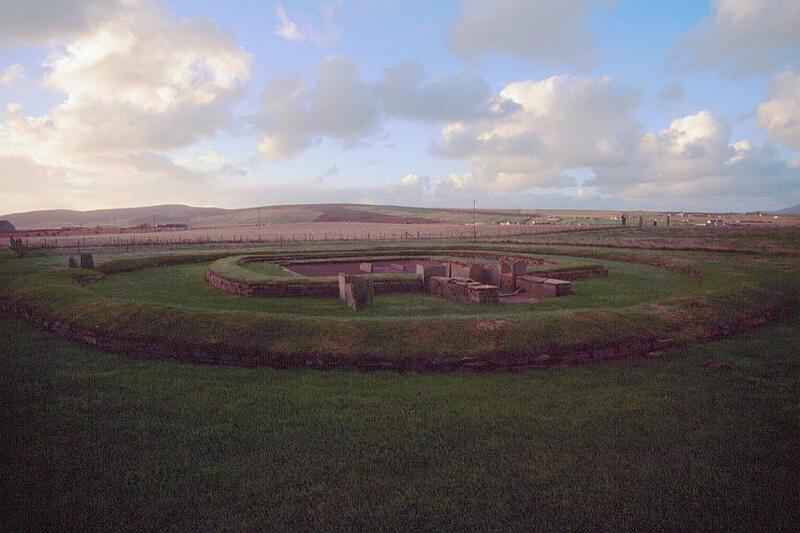 These were set around a larger and more elaborate building. 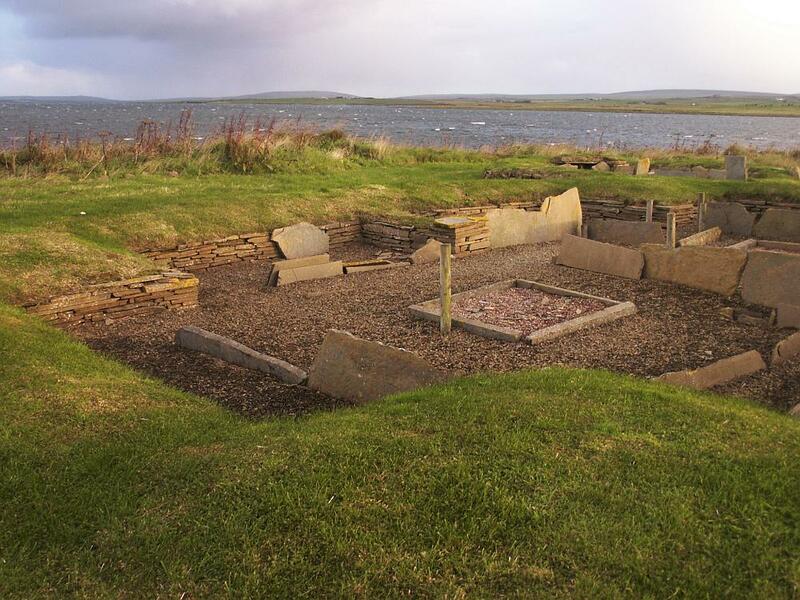 Unlike the Skara Brae houses, which were set into the sand, the Barnhouse structures appear to have been free-standing. 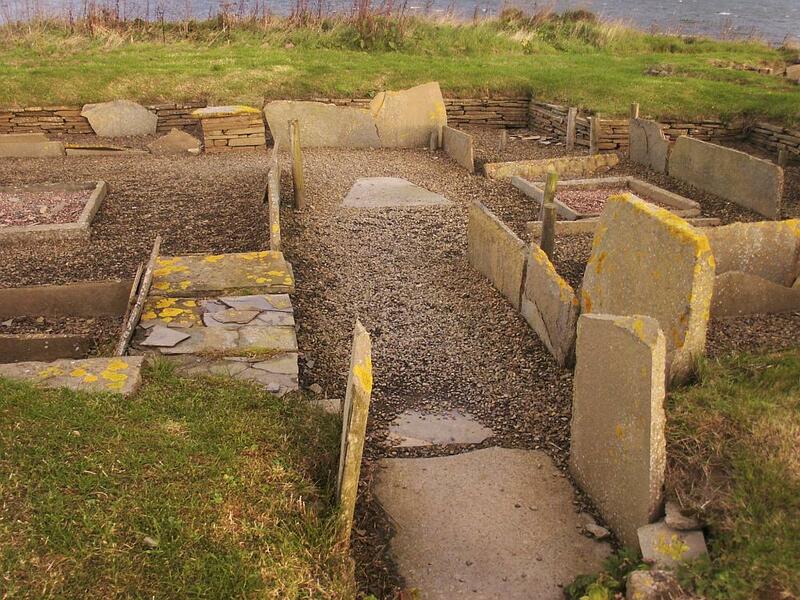 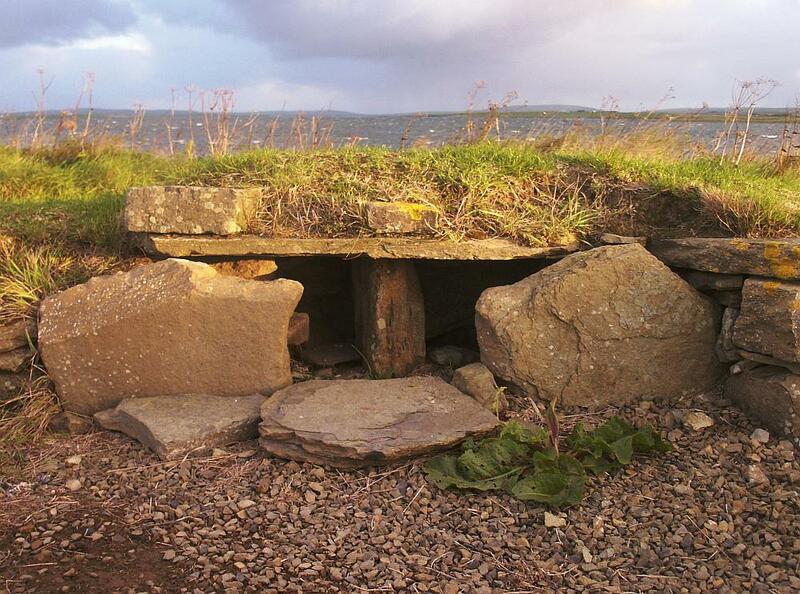 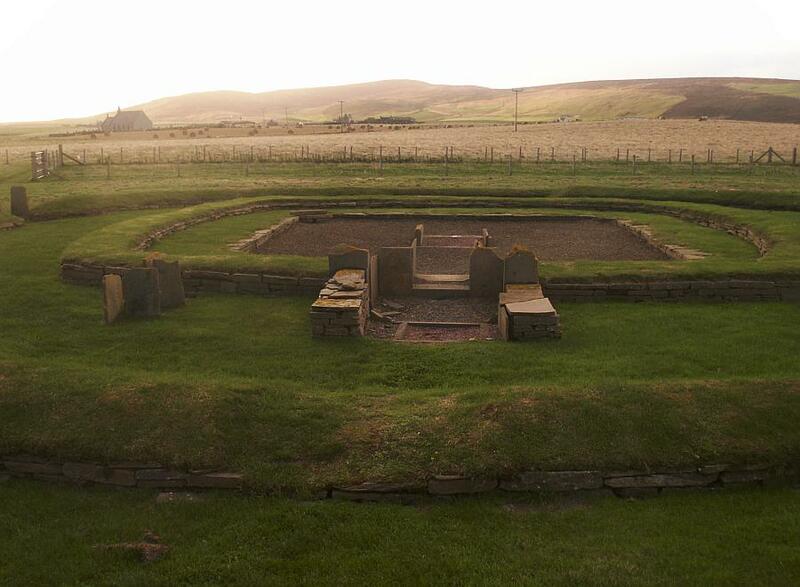 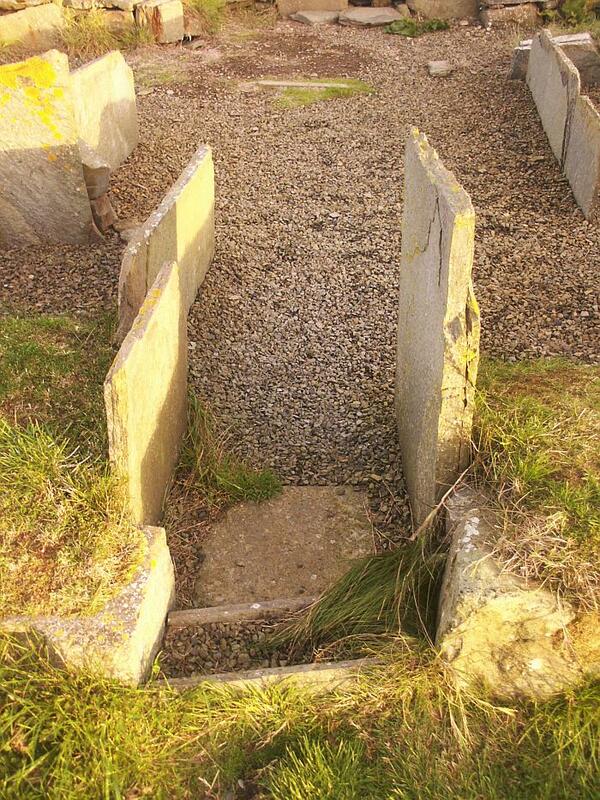 As at Skara Brae, the houses generally contained a central square hearth and stone box beds and "dressers". 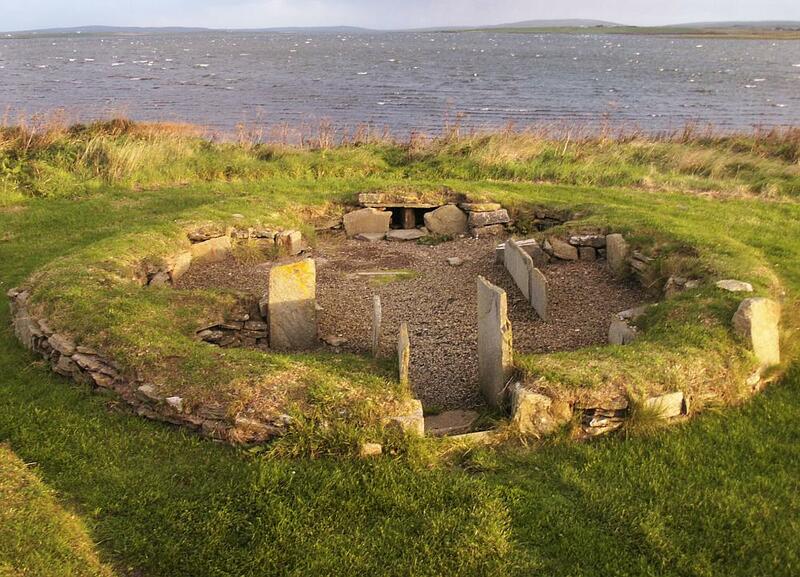 At a late date in the history of the Barnhouse settlement, the building known as 'Structure 8' was constructed. 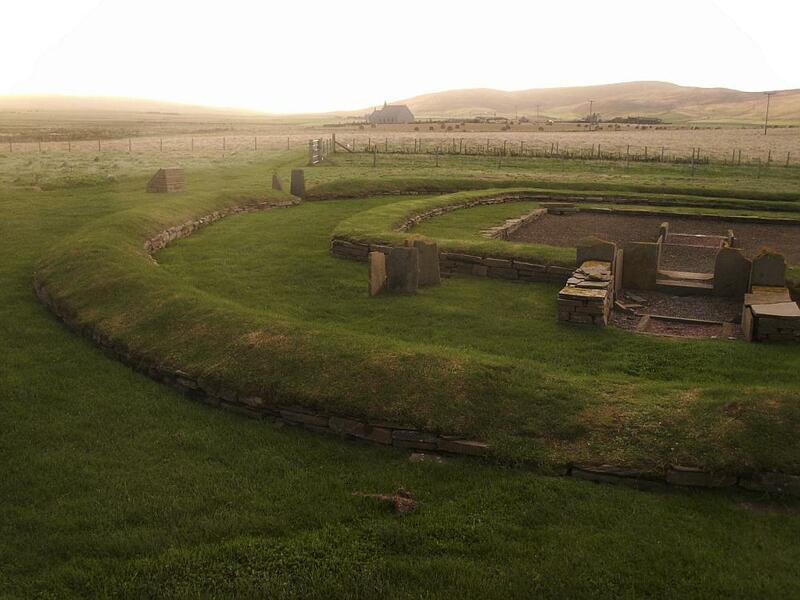 This is a large square building surrounded by a stone wall and with its entrance directed towards the mid-summer sunrise (as compared to nearby Maes Howe which has its entrance passage directed towards the mid-winter sunset). 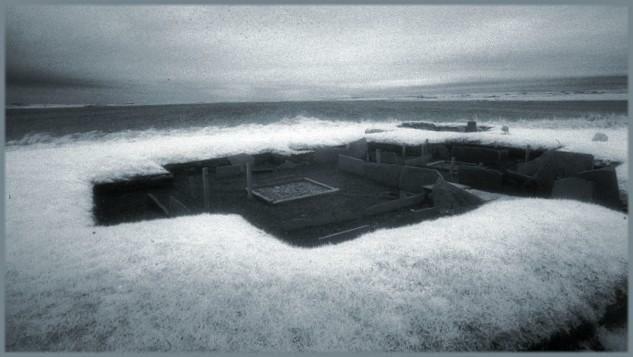 Notes on the pictures: some of the Barnhouse photographs were taken using monochrome infra-red film, hence the somewhat unusual appearance.